Kevin Lee is the CEO of the search engine marketing firm Didit and an engaging speaker at many search conferences. While he loves his PPC, he also sells SEO videos on his personal blog. We recently chatted back and forth via email, and decided it would be a good idea to do an interview. Here are the questions I asked Kevin and his answers. A recent report from a SEM firm highlighted that 55% of their clicks from the search portion of Yahoo! Search Marketing do not come from Yahoo! Search, but from syndication partners. Does that number sound high to you? Yes, based on the last time I looked. I don’t have the latest HTTP referrer analysis handy, but I recall that the last time I looked the percentages varied rather dramatically by industry and keyword due to the fact that many of the domain traffic sources end up being lumped in as search. However, I’m not sure if that SEM had content turned on to get YPN traffic. Why hasn't Yahoo! made it easier to opt out of syndication like Google has? Once you leave Yahoo, their network becomes highly distributed. Unlike Google which could at least hypothetically provide specific opt-in/out control or even bid boost-depression control on AOL and ASK, Yahoo doesn’t have any mega-search partners. They may be concerned about a mass-opt-out which would result in revenue drops at both Yahoo and their syndication partners resulting in a likely loss of those syndication partners upon deal-renewal. It’s my opinion that Yahoo should certainly dedicate additional technology resources to the search-side of the business. Yahoo! has the syndication that can't be opted out from, and by default Google opts advertisers into everything. And then there is broad match which might be a bit broad for some advertisers. It seems the networks almost have an "ignorance tax" which hurt many small advertisers who do not know any better. Each cool new feature they add works as a bonus for firms like Didit, while working against people new to the field. At what budget scale does it make sense to start looking for outsourced help? I agree that the current ecosystem has an ignorance tax. However, one could make the same argument about nearly every form of marketing. Paid search can of course get particularly complex when one looks at all the targeting, segmenting and bidding levers available. As to the outsourcing issue. I think many marketers and agencies consider the idea of outsourced search a binary decision. It’s actually a continuum, more like the areas of legal work. A mid-to-large firm may have in-house legal counsel yet often still outsources certain work based on a variety of factors including how critical the issue is as well as whether they think their in-house team can handle it from either a production or skill level basis. Search is the same way. Some of our clients outsource everything to us, others use our managed technology option which we offer only to specific marketers where we believe that their in-house team can handle production and most of the strategy. So, I’d urge any marketers that feels like they are missing either opportunities or perhaps running a wasteful campaign due to strategic issues, inferior campaign management technology, poor analytics or simply the fact that they can’t get the vast amounts of production work done to investigate partnerships that will help them achieve maximum overall profitability. Also, when thinking about outsourcing, consider that technology can help ease a big chunk of the production burden, but someone still has to do the blocking and tackling within a campaign. In nearly every case, you get what you pay for (or less than you paid for), but rarely does one get more than one is paying for when it comes to production work. In a number of past interviews you have highlighted that advertising has the ability to drive search volume. Does advertising that drives search volume typically drive it mainly for brand related queries? Does the value of the average search end up increasing or decreasing when search volume is build via advertising? Advertising, PR and marketing of all sorts generally spikes brand keyword traffic to the largest degree. However, depending on the message of the advertising and the industry category, it may drive a significant lift in generic volume. As you might expect, that results in some really interesting opportunities to take advantage of volatility in keyword-search volume across a broad spectrum. It also make media mix modeling of search particularly tricky since you may have to add in external variables other than your own marketing/advertising. Speaking of brand, when is it beneficial to bid on brand related queries? What bid strategies make sense on brand related queries if the brand already dominates the organic search results? Thus far in all the experiments and test we’ve conducted brand bidding is still worth doing even when the organic result is #1. Often to get the highest combined ROI the offer/landing page needs to be different. With universal search and the continued evolution of personalized search results within Google there’s an increasing likelihood that brand bidding will be a net-positive even after cannibalization if factored in. The increase in ROI and profit is more dramatic if others are bidding on the brand, but surprisingly even in instances where the brand is the only paid advertiser, it still generally is worth bidding. However, it’s something I’d always recommend structuring testing and experimentation around. John Battelle believes that "brands are conversations," and is pushing something he calls conversational marketing. Do you think this movement will make a big impact on the web? Have you used the strategy for any of your clients? I’m not sure I’d call it a “movement” more than any other scheme or analysis of marketing is a movement. Consumers have conversations about brands. Conversations about brands, problems and solutions stimulate search behavior. One can of course try to be present within conversations directly (which is a non-trivial problem), try to insert one’s brand into existing conversations (dangerous if it is done wrong) or simply wait patiently in the SERP for the curiosity of the consumer to manifest itself in search. I’m going overboard to make a point, but, the challenge for the marketer is determining the marginal value that any conversation has in moving the consumer closer to a purchase. That challenge holds true for any marketing or advertising. Increases in early brand metrics only matter if the consumer either purchases themselves or influences others to purchase. In a number of your columns you have talked about search and the buying cycle. What strategies do you find most effective for early stage searches? How do those strategies compare to brand keywords and other keywords with more purchase intent? Even on late stage keywords, clearly the vast majority of searchers don’t convert, at least not online. Other than a couple of instances with brand keywords, I can’t recall conversion rates even approaching 50%. So, the first hurdle for the search marketer is to get the CMO on-board with the idea of targeting a larger pool of non-immediate converters. It still makes sense to take every incremental marketing dollar and go after the next segment of converters. It’s trick is to understand the marginal value of each click based on conversion profiles and then you’ll know the best way to work back the buying cycle toward awareness and consideration while still capturing those consumers who were open to converting in the near term. Clearly the messaging in ads and landing pages may need to migrate a bit as one moves away from simply harvesting demand to helping influence the consumer during earlier stages of the buying cycle. For a person short on budget running a small campaign, are the tools provided by the search ad networks adequate? Are there any other budget analytics or PPC tools that are surprisingly good? Would you suggest trusting sending your conversion data to Google Analytics? Even for small marketers, I think one can make the case for the value of third-party analytics and technology. There are clearly reasons why one might not want the advertising seller to know the conversion data, but the issue is even broader than that. In a world where one of the next big frontiers is behavioral targeting, do you really want to give the traffic sellers BT data that might be exploitable at some point down the road? Several firms are attacking the small marketer market with respect to search. One promising upcoming candidate is Clickable.com. They are technically still in beta I believe, but their mission is admirable. 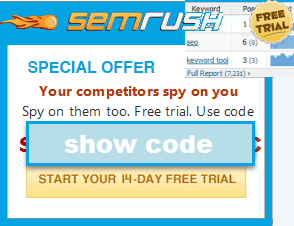 A lot of affordable competitive research tools (like Compete.com, KeyCompete, Keyword Spy) have been launched in the past few years. Have you compared any of these to the higher priced services? Are these competitive research tools giving smaller players a chance, or are they only working to consolidate traffic for the largest market players? We license the raw comScore data and have built internal tools and reports that have been quite valuable. I’ve experimented with many of the other services and the biggest problem with most of them for smaller marketers is that as one moves into the tail, data validity drops. So, ironically some of these tools are more useful for larger marketers than smaller ones. comScore data has shown Google has been displaying ads against a smaller set of their total search queries over the last year. Does that trend surprise you? Might it go the other direction at some point? There’s no point in showing ads if the ads aren’t sufficiently relevant. However as all of us know, Google uses both the carrot and the stick to drive marketers towards higher relevance in the PPC portion of the SERPS. As marketers build out content and ads to take advantage of this fact, it is quite conceivable that the ratio of paid to organic results could reverse itself and we see both more ads and more ads showing up above the organic results. Have you found business models that do not do well with search? Or businesses that have done better than expected? What are some key signs and metrics for knowing if a business model works well with search? Arbitrage doesn’t work as well as it used to. At some level of scale, one can get almost any business to work, but doing well requires that you have some advantages in your business over the competition. After all, economically speaking once everyone is making rational bid decisions (which may not happen for a while) if your competition have huge cost or profitability advantages over you even the best bidding strategies will have to cede them top position in many cases due to their inherent advantages. In this video interview with Sage Lewis you talk about how with scale it is easy to break through many efficiency plateaus. What are some of the most common issues holding back new advertisers (or old advertisers with broken strategy)? Ahh, the old logo and the frog. I miss them sometimes. The most common thing I see is a failure to accurately predict their missed opportunities. Waste can be found in campaigns fairly easily but missed opportunities are difficult to quantify. So, they are usually significantly underestimated. As you well know, this is a challenge with organic SEO as well. Lack of the right technology of course cripples the marketer from executing on many of the strategies that would bring increase profit and scale. Lack of sufficient production capability is also a huge hurdle. If you never get around to the account reorgs ad testing, landing page testing or the keyword expansions you’ll continue to miss those opportunities. Lack of education as you pointed out ends up also being a huge issue for new advertisers. The Google AdWords blog had a post titled Websites that may merit a low landing page quality score. Some thin affiliates have been slapped with $10 minimum bids on every keyword, and can not profitably buy any traffic from Google. It seems Google is trying to clean up their ad network on some fronts, and yet they showed my wife an ad for cheating lonely housewives. If Google openly discriminates in their pricing models based on how well they like the business model of the advertiser, are they endorsing the ads that they allow to run for months and years? That lonely cheating wives ad was publicly referenced last November and the ad is still running. I think Google continues to put most of its relevance efforts into its own SERP. If some irrelevant ads show up in the contextual network, unless the publisher complains, there’s not really damage to the Google brand among consumers. As an SEO, in my experience, the complexity of the ranking algorithms and the amount of money needed to reliably rank in Google keeps increasing the opportunity cost of ranking in the organic search results (unless there is a healthy dose of public relations, brand building, promotion, community participation, and traditional marketing in that SEO mix). In a couple of past interviews you (at least to some extent) equated SEO to spam (or at least used both words in close proximity). Do you still think that SEOs have control over Google or do you see Google gaining more leverage in the relationship? I’ve probably been taken out of context somewhat. However, I firmly believe that in the log run, Google, Yahoo and MSFT will police both their organic and their paid search listings (not so much contextual and behavioral) to assure relevance. That means that if you start to engage in SEO and you couldn’t make a credible argument as to why you in fact are the most relevant to a room full of strangers then you probably will get booted from the SERPS even if you used black-hat SEO to successfully manipulate yourself to the top. It’s not so much about leverage, as it is about tools Google could conceivably use to gauge relevance that they may not be using now. For example, the toolbars you see proliferating could watch post-click behavior and that could be combined with click-back percentages (those who abandon the top-listed site returning to the SERP) to flush out results that are not particularly relevant in comparison to others. Marketers without the rankings their content deserves should absolutely invest in SEO. Those with the ability to create additional great content that ranks well should similarly invest. However, the one key thing is that when it comes to SEO, as with Public Relations, expectations need to be reasonable. If an SEO practitioner (in-house or outsourced) promises results that Matt Cutts would likely grade as poor quality SERPs well, then even in the unlikely instance where success was attained with white-hat methods there is clear risk that those results will be temporary. One of my favorite SEO strategies is to use PPC to drive traffic to key pages for link building. What are your favorite PPC strategies that are rarely talked about, and do you use an SEO techniques to augment your paid search campaigns? Actually your strategy is interesting, because it partially explains why relevant sites in the organic results often remain there. They get lots of traffic, some of those visitors blog, and even if one out of 1000 visitors links-in, that process creates a really sticky feedback loop for PageRank generation. People rarely talk about geotargeting and dayparting. Both are favorites of mine. I’m a big fan of any segmentation analysis and cluster modeling that helps marketers cherry-pick the very best clicks from the stream of possibilities. I advise clients to train their webmasters on SEO basics and best practices because if they are in fact relevant, perhaps some of their existing visitor stream will blog and can help cement better organic position. Didit is one of the most well known and respected brands in the PPC space. What were some of the keys to growing into your market position? Being around for a dozen years doesn’t hurt. However, putting the client’s success first is really the key. That forces us to innovate and also puts the pressure on us to provide the right level of service given the relationship. Many people also seem to appreciate our passion for the industry. We do a ton of speaking, writing and are involved in trade associations. PPC ad networks, like search engines, have many publish guidelines. Some of which are loosely enforced, and some may erode profit to follow. Have you ever recommended to a client that they ignore such policies? Have you ever fought a search engine's policies and got them to change them? We encourage marketers who have an issue with a guideline to understand the reason he guideline exists. That helps predict the likelihood of enforcement if something is perhaps in the grey zone and a policy might end up being tested. Similarly, that same understanding is key is attempting to get a policy changed or an exception made. Which one is yours favorite training videos? There are plenty of videos available in market for SEO training. I have a team which keeps on increasing, I want to train them using videos, Which one is yours favorite training videos? Suggest me one plz. Sorry to post on a random post but I can't find a way to contact you on your site any other way. I use your SEO for Firefox tool and it has stopped working for quite sometime. I am using it on a Mac with Firefox obviously. Whenever I turn it on, all the categories come up under each Google result but they all have Question Marks by the categories instead of the numbers and stats for each. I would appreciate any help as it is an awesome tool. If you read the install instructions on the download page you should be able to fix that issue.